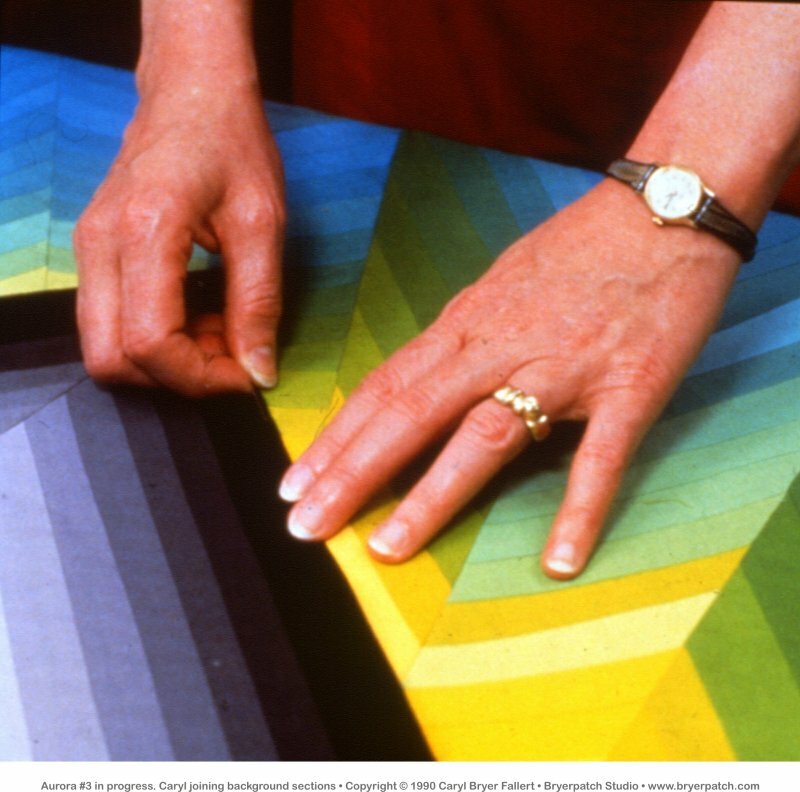 This quilt was commissioned by BERNINA OF AMERICA to represent their theme for the 1990s, THE SEWING LANDSCAPE. 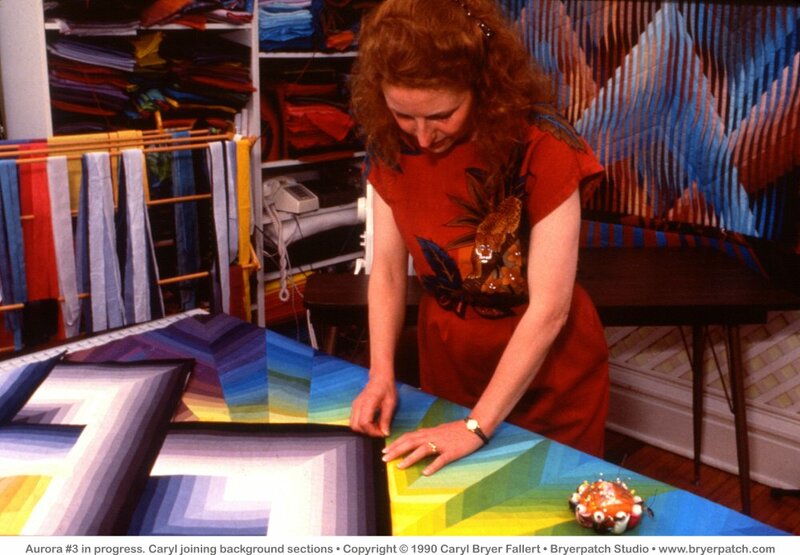 It was installed July 1, 1990 in the former corporate headquarters of BERNINA OF AMERICA, Hinsdale, Illinois, where it hung in the main lobby. Later Bernina moved their headquarters to Aurora, Illinois, where it hangs in the office of the president. 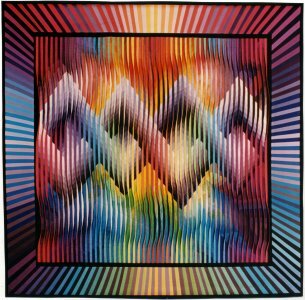 This is one of a series of quilts in which three dimensional, constructed tucks are incorporated into a pieced background. 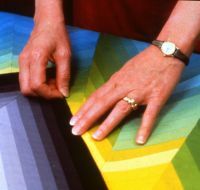 The background was string pieced in a radiating design. The colors used represent earth and sky. 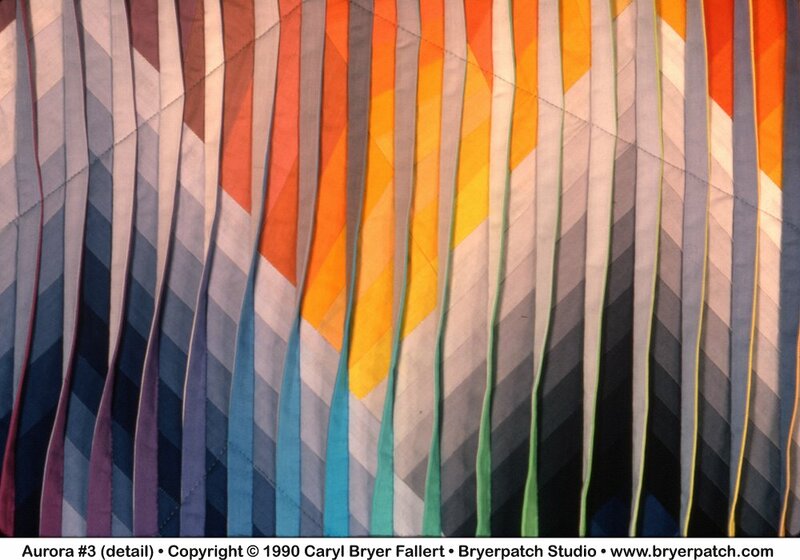 The interlocking bands of neutral color in the center represent stitches. Each tuck is constructed from two different fabrics. The right sides of the tucks are a full spectrum of graduated rainbow hues. The left sides of the tucks are graduated values from light to dark in navy and black. 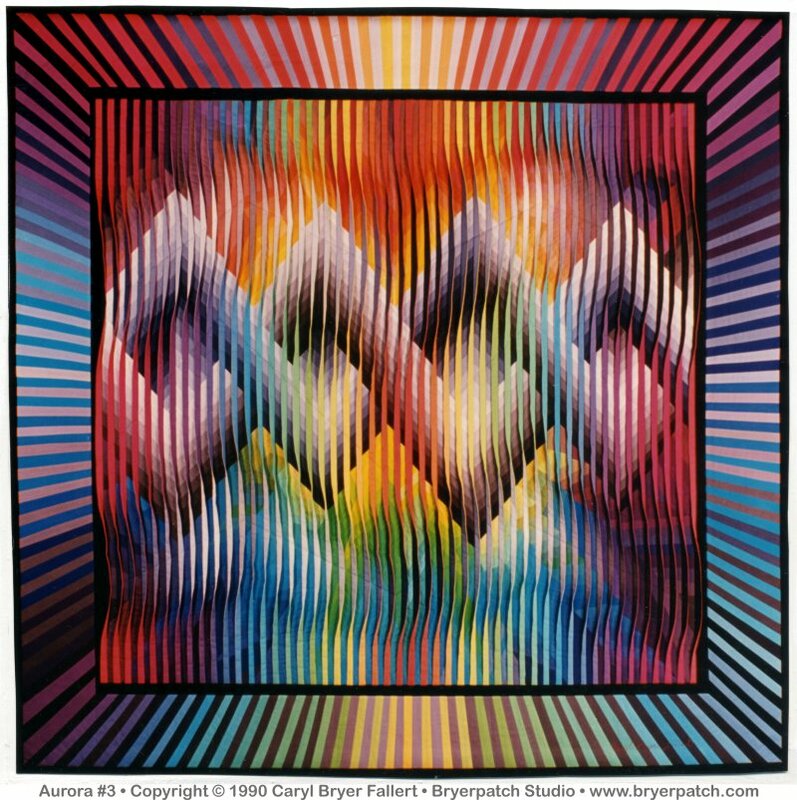 The use of color and value gradations, and the twisting of the tucks from side to side, create the illusion of movement and light across the surface of the quilt. 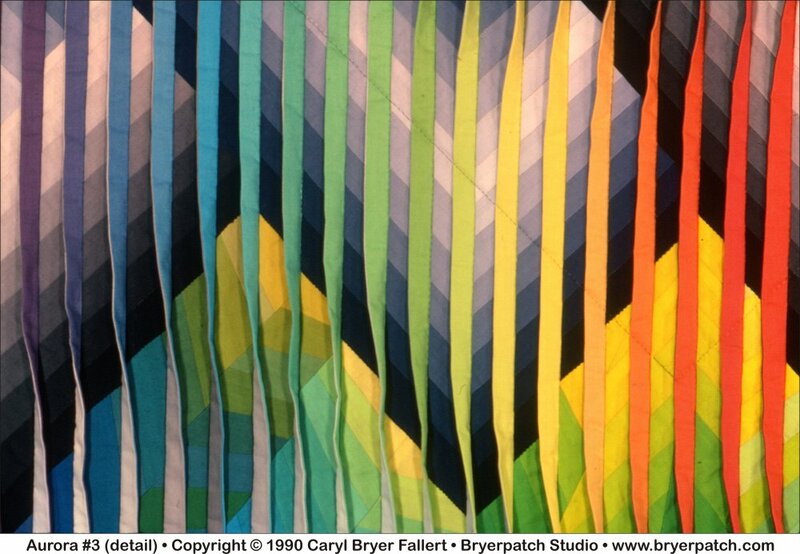 A radiating, string pieced, border of intersecting color and value gradations, draws the eye into the center of the quilt.